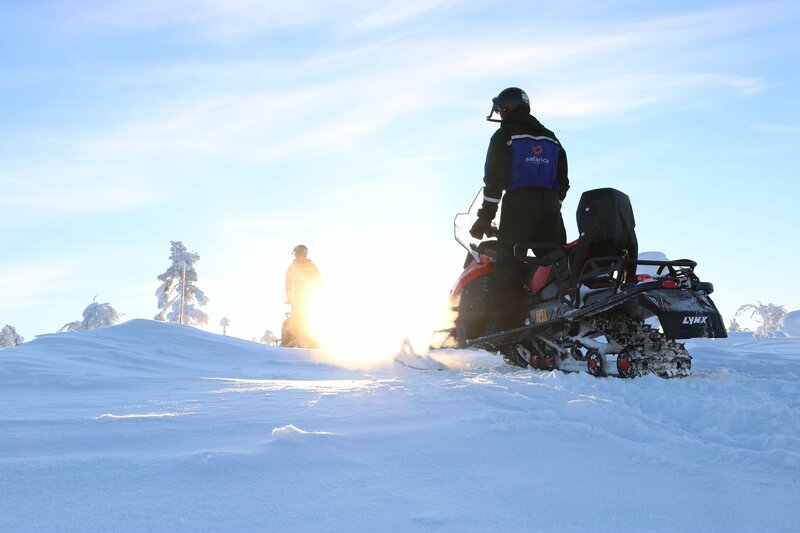 This is an exciting snowmobile safari for the beginners as well as more experienced drivers. After the safety and driving instructions, we drive by snowmobiles through snowy forests, on frozen lakes and swamps. 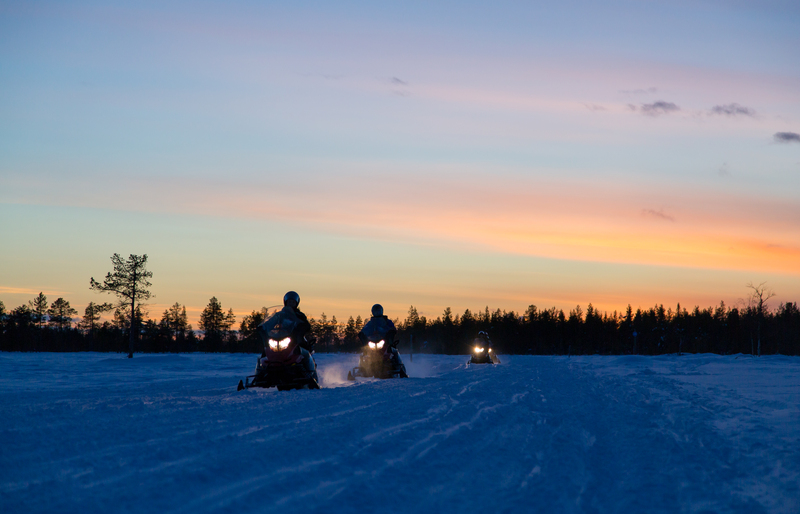 Our skilled snowmobile guide teaches you the driving techniques, how to cross the roads and drive safely on the ice. We stop for a cup of hot drink and a doughnut on the way.